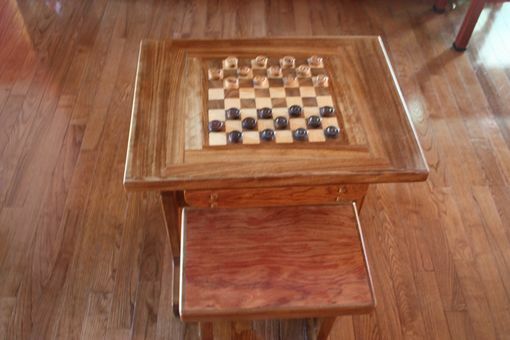 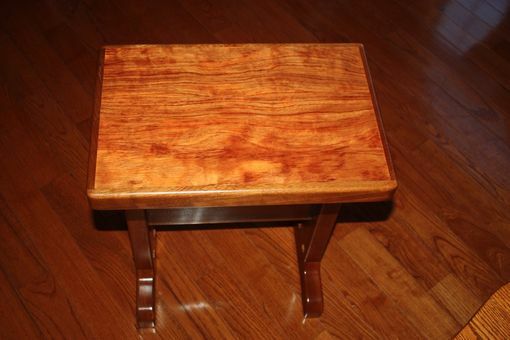 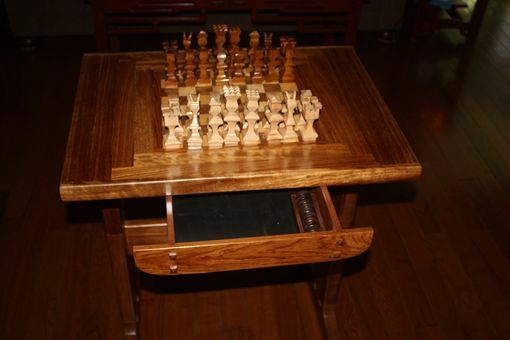 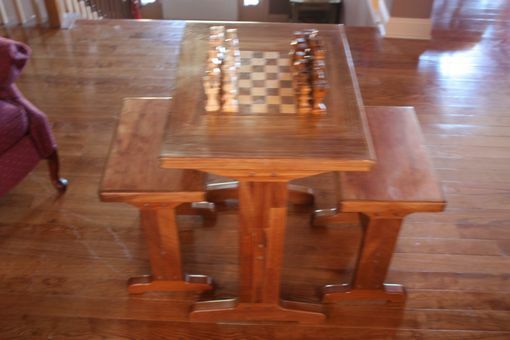 This chess table and benches are made of Teak, Babinga and Ipe. 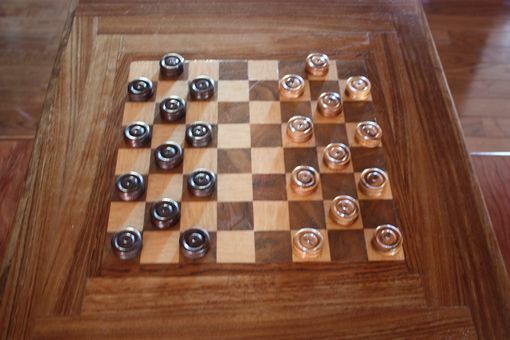 The chess pieces checkers are made of maple and walnut. 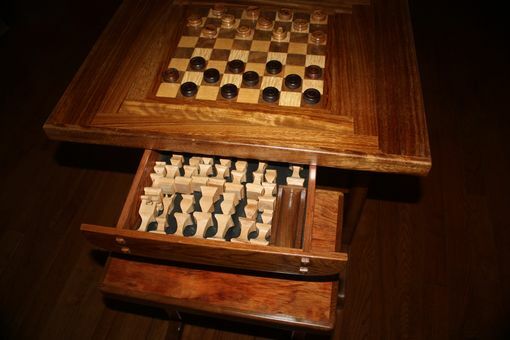 Find a nice cozy alcove for this item and you will find yourself spending many an afternoon or evening enjoying yourself here.